Brett Eldredge’s latest single “Mean To Me” is #1 at country radio this week according to Mediabase, and as lyric lovers, we could not be more excited about it. “So freaking thankful for all of the belief you all and country radio have in me! “MEAN TO ME” is the #1 song in country music! Love Ya!” Eldredge said via Twitter last night. “Mean To Me” appears on Eldredge’s debut album Bring You Back, and was a co-write with Scooter Carusoe produced by Luke Laird. 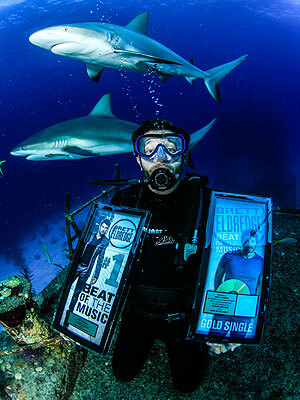 Eldredge has made a habit of doing something a little wild when his songs go #1, skydiving when “Don’t Ya” topped the charts and swimming with sharks for “Beat of the Music.” No word yet on what the star has planned, but there’s no doubt he’ll continue his adrenaline-fueled tradition.